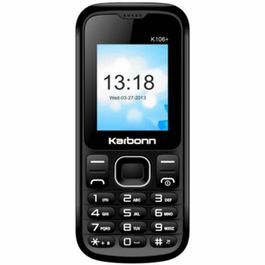 Karbonn is presenting the best ever smartphone, loaded with gorgeous features. The blazing browsing speed and powerful processor will let you have fun always. 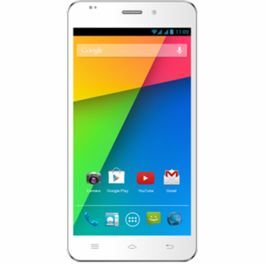 A 10.1 cm capacitive touchscreen is very responsive, it delivers crystal clear view of every content. The phone has a resolution of 800x480 Pixels and is equipped with G-Sensor, Light Sensor and Proximity Sensor which delivers the best result. 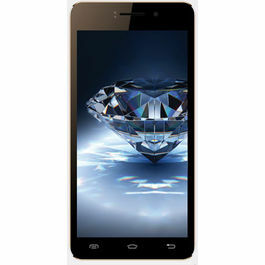 Karbonn Titanium S1 Plus comprises of robust combination of 1.2 GHz Quad Core Processor and Android v4.3 Jelly Bean. The powerful processor and smooth OS provides a very smooth and user friendly interface. You can install various apps and games easily and can access all of them conveniently. You can always stay updated with the latest happenings in the world and be in touch with your friends and family as it supports Wi-Fi, GPRS and EDGE. Sharing of the data is possible with USB and Bluetooth. The phone is GPS assisted which will help you in navigation from one place to another with maximum accuracy. Click beautiful pictures with the 5 MP primary camera which has powerful flash. The flash will let you click beautiful pictures even in dim light also. You can shoot videos also with the help of camera and save your precious moments for whole life. Now never get bored as Karbonn Titanium S1 Plus has Music Player, Video Player and FM Radio. So that you can listen to your favorite tracks with a great sound clarity. Store all your data such as images, pictures, videos and lots more in the 1 GB RAM and 4 GB ROM. In order to store more data you can expand the memory up to 32 GB with the microSD card. 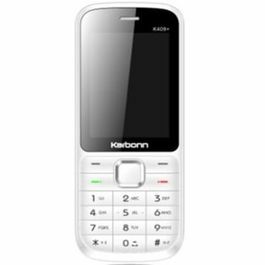 Karbonn Titanium S1 features a powerful battery capacity of up to 1500 mAH which gives a standby time up to 220 hours and talktime of up to 3.5 hours. 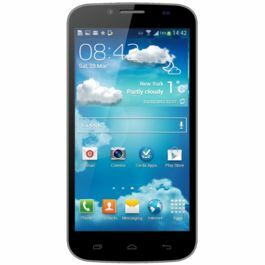 Check out Karbonn Titanium S25 Klick (Blue) and their classy features. 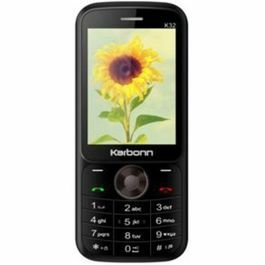 Karbonn is presenting the best ever smartphone, loaded with gorgeous features. The blazing browsing speed and powerful processor will let you have fun always. Display A 10.1 cm capacitive touchscreen is very responsive, it delivers crystal clear view of every content. The phone has a resolution of 800x480 Pixels and is equipped with G-Sensor, Light Sensor and Proximity Sensor which delivers the best result. 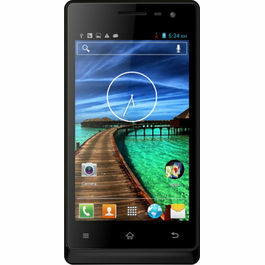 Operating System Karbonn Titanium S1 Plus comprises of robust combination of 1.2 GHz Quad Core Processor and Android v4.3 Jelly Bean. The powerful processor and smooth OS provides a very smooth and user friendly interface. You can install various apps and games easily and can access all of them conveniently. Connectivity You can always stay updated with the latest happenings in the world and be in touch with your friends and family as it supports Wi-Fi, GPRS and EDGE. Sharing of the data is possible with USB and Bluetooth. The phone is GPS assisted which will help you in navigation from one place to another with maximum accuracy. Camera Click beautiful pictures with the 5 MP primary camera which has powerful flash. The flash will let you click beautiful pictures even in dim light also. You can shoot videos also with the help of camera and save your precious moments for whole life. 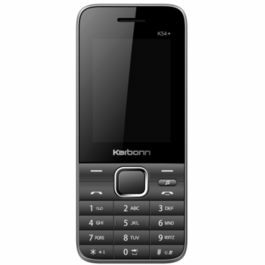 Multimedia Now never get bored as Karbonn Titanium S1 Plus has Music Player, Video Player and FM Radio. So that you can listen to your favorite tracks with a great sound clarity. Memory And Battery Store all your data such as images, pictures, videos and lots more in the 1 GB RAM and 4 GB ROM. In order to store more data you can expand the memory up to 32 GB with the microSD card. Karbonn Titanium S1 features a powerful battery capacity of up to 1500 mAH which gives a standby time up to 220 hours and talktime of up to 3.5 hours.Check out Karbonn Titanium S25 Klick (Blue) and their classy features.Connect with the world smartly with Lenovo A536. And boast about this one and several other Lenovo's smartphone world!Smartphones have taken the center stage, when it comes to the world of technology. 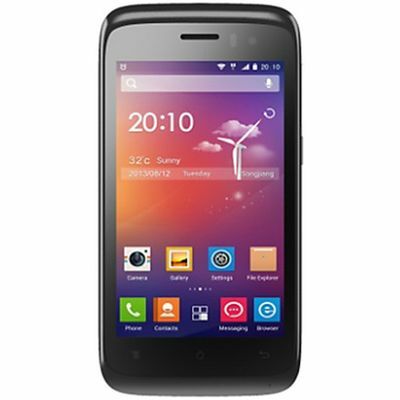 And android mobile phones, have gained a huge market for itself; with it's easy interface and convenient features.